Sheri Sakai’s father, KC Iwata (front row, center) with his semi-pro baseball team in the 1930s. I was 7 years old when World War II broke out and our family went first to Turlock Assembly Center and then to Canal Camp in Gila, Arizona. We actually left from Los Angeles, although previous to that we lived in Imperial Valley. Imperial Valley was very hot and I remember getting boils on my body and my mom would press them out when they turned white. I would get carsick and vomit from the heat when we would drive back and forth from Imperial Valley to Los Angeles. The only car I remember my dad having was a Chrysler. I don’t believe air conditioning existed back in the ’30s. Before my parents were married, my mother dropped out of college to work at L.A. Vegetable Exchange produce market to help her mother get the money to go back to Japan. She grew up hearing her mother saying she wanted to go back to Japan. Sadly, soon after arriving in Japan, her mother died after suffering a brain aneurysm at age 52. 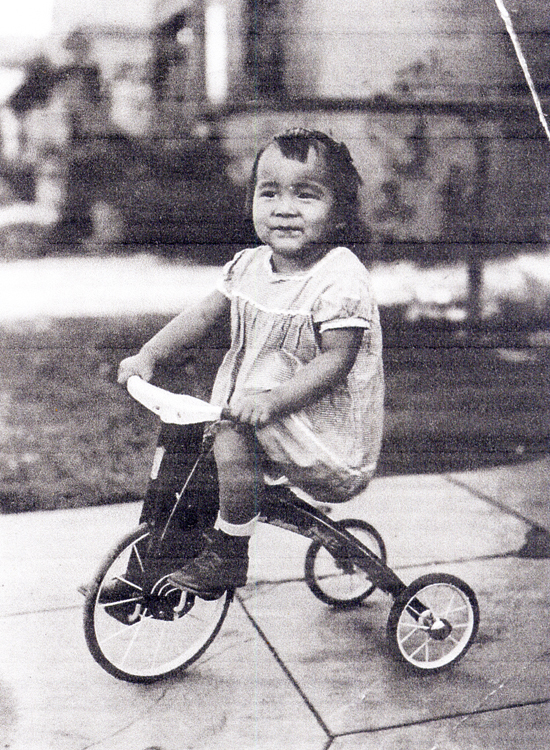 Cheri Sakai at age 2. My mother then married my dad who was co-owner and manager of L.A. Vegetable Exchange on 8th and Central in Los Angeles. He also had a farm in Imperial Valley. She went from being a Little Tokyo city girl, studying Japanese, singing, dancing and acting while living on Jackson Street, to living out in the country in Brawley. She recalls being pregnant with me, tying my then year-old brother in front of her, and using chopsticks to pick off the caterpillars from the tomato plants. This was all she knew about farm life in Imperial Valley. A far cry from when my dad had a farm and packing shed in Lovington, New Mexico after we got out of Gila camp. My brothers and I worked side by side with white migrant workers from Arkansas and Mexican migrant workers who swam across the Rio Grande River to come into the U.S. to work. Contrary to what my mother did with a pair of chopsticks, when I would feel a caterpillar crawling up my blue jeans, I would hit hard and a large circle of liquid green would appear as I smashed those huge 4-to-6-inch caterpillars! Of course we didn’t change our clothes when that happened. We just kept on hoeing! Fast-forward to when I took a train from San Antonio, Texas to Los Angeles back in 1953. When I first met my husband and he brought me home to introduce me to his family, his mother, remembering back to when they were farmers in Imperial Valley, told me how she used to see my dad with a halo of gold around him because he was at the time a wealthy produce shipper before the war. He shipped a crate of melons to President Hoover back in the ’30s and owned and sponsored the KC Iwata semi-professional baseball team. Before the war they were the semi-pro West Coast champions. My husband and I loved going to the reunions in Imperial Valley and for the first time, he was able to show me how tough life was for their family. He used to tell me his mom didn’t have much housework because there were no floors to clean. He was able to show me at the Pioneer Museum in Imperial Valley how his family lived in what appeared to be a one-room moveable house that was pulled from field to field. As they finished getting the weeds out of one field, they moved to the next farmer’s field. When he saw the horse-driven plows at the Pioneer Museum, he was excited as he pointed out to me that as he got older, he used to plow the fields in one of those. When we first got married, he hated fish because that was all he remembered eating as he was growing up. His dad would go fishing every day so that they would have something to eat besides tomatoes or whatever vegetables were growing in the fields at that time. 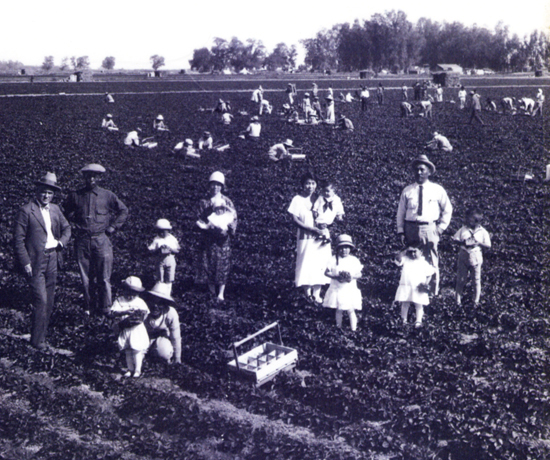 Imperial Valley Nikkei spent long hours working in the fields. He said he never remembered his dad talking to him. As far back as he could recall, he only remembers his dad taking him by the hand and leading him out to the fields to work. As I pointed out to him, his dad might not have talked to him, but he taught him how to work. Because of those long, hot days working in the fields of Imperial Valley, my husband developed a nice, healthy tan. He was dark enough that when he was an Army paratrooper and jumpmaster in Fort Campbell, Kentucky, where the restrooms were labeled “Whites Only” or “Colored,” he always went into the “colored” side to play it safe. When he went on the bus, the “coloreds” sat in the back and the whites in the front, so again, to be safe, he sat in the middle. After we got married, my husband went through years of buying all types of stereos and set up speakers in every room in the house. He bought so many cars so often that when we moved from our duplex on Cochran Avenue, the neighbor across the street came over and asked me if he owned a used car lot. He owned Porsches, the Datsun 240Z¸ Dodge Charger, Corvette Stingray, Volkswagon Scirocco, and almost every other sports car that came on the market! In Imperial Valley, he said, his brother Steve, as the oldest son, was given the family car to drive and was also given the first and only radio the family had. My husband was not allowed to drive the car and would have to pay Steve a nickel to listen to the radio outside his window. That’s when he made up his mind that if Steve had one car, he would have two. When Steve was given one radio, he would have radios all over the house. In resentment, he remembers running away from home but after climbing up a tree in the hot sun and staying there for an hour or more, he said there was nowhere to go but home. 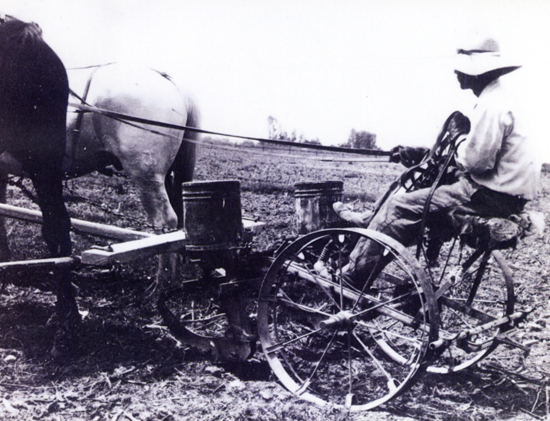 As a young man, Cheri Sakai’s husband used a horse-driven plow like this one. His mother, on the other hand, was embarrassed with his fighting and asked him to leave camp. At age 16, when he stood alone in the train station in Chicago, he said the lightbulb went on and he knew it was now strictly up to him as to how successful his life would be. His dream had always been to work in a cool, air-conditioned office and to have all the radios and cars he wanted. After leaving the Army, his first and only job was with Westco Products, a company that started out as a bakery and ended up being the largest food brokerage firm west of the Mississippi. He was hired as an office clerk, but soon after we were married he was promoted to office manager and then controller of the company. He worked there for 60 years before retiring. So even though my husband died three years ago and I still feel very sad when I think of him not being next to me to hold and hug, I can still be happy that we had a great life together and he achieved all his dreams — getting married, having children, having lots of cars and stereos, and staying out of the hot fields of Imperial Valley! He was always very methodical about his life and knew exactly what he wanted. To the point that before he had a stroke, he asked Pastor Jim Miyabe at Venice Santa Monica Free Methodist to baptize him as he got on his knees in church and made a public confession of his faith in Jesus Christ and His promise of eternal life after death. Would I be too facetious to say he experienced enough heat in Imperial Valley and didn’t want to take a chance of experiencing any more after he passed on!